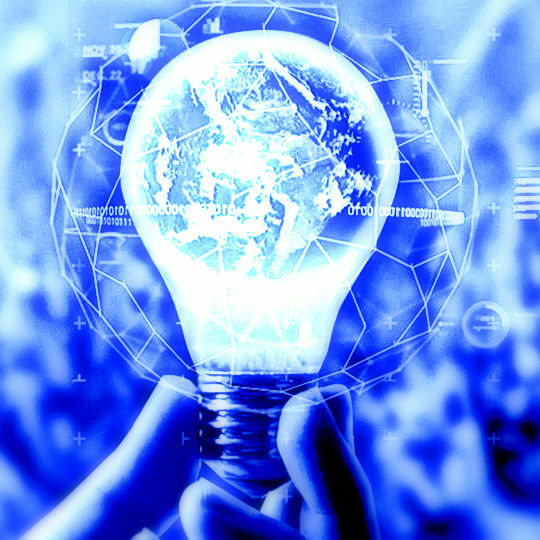 Weili Zhang was the first analytics lab @ OU student to join the team, the first MS Data Science and Analytics graduate from OU, and will be Dr. Nicholson’s first student to complete his PhD in Industrial & Systems Engineering. 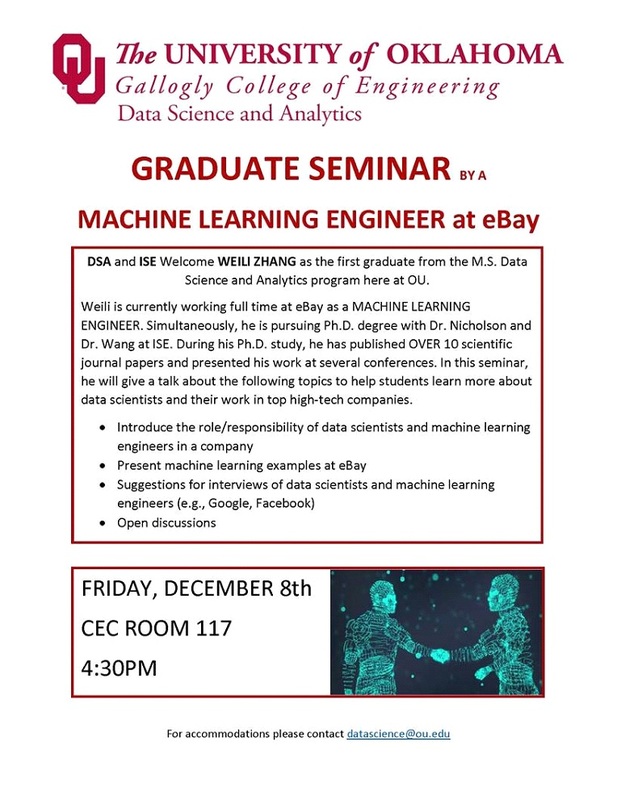 He accepted a machine learning job at eBay last year in San Jose, CA, but is back this week to defend his PhD research on Friday, December 8, and then at 4:30p, to give a seminar presentation, open to the public, on machine learning at eBay. I expect this to be a pretty casual meeting and expect that Weili will be open to lots of Q&A and discussion.